Customers have been asking how some of the newer brands like LG compare to some of the longtime industry leaders like KitchenAid. LG is one of the fastest-growing brands in the appliance industry, offering top-quality products and innovative features. KitchenAid is one of the top brand names in the appliance industry and has a reputation for offering the highest-quality appliances to the consumer. 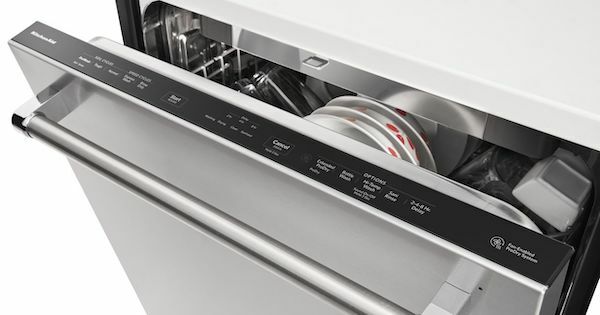 Their high-end dishwashers are very different in design and styling and each offer some unique features. Be sure to include these brands when when shopping for a new dishwasher - you might discover some unique features in either brand that you will like. 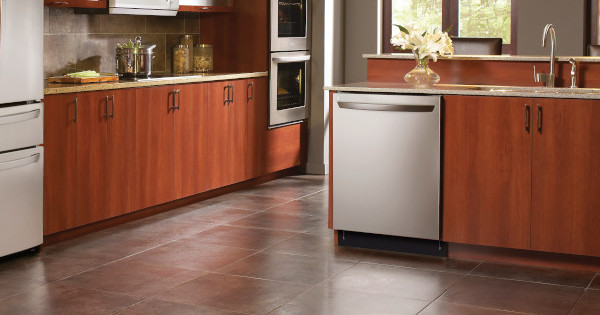 There are many factors to consider when buying a new dishwasher. Let's compare two models to help you narrow your search and help determine which is the best dishwasher value for your money! 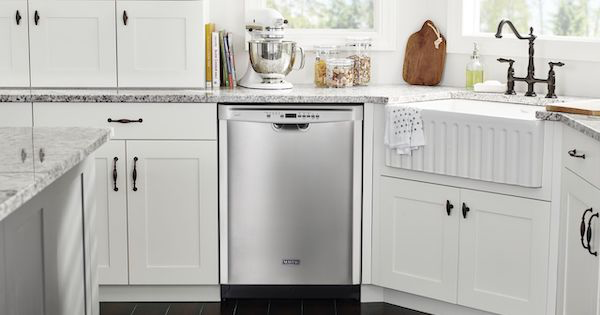 For this article we decided to look at two comparably priced dishwasher product offerings from top selling brands, Frigidaire and Maytag. These two well-known brands of dishwashers both offer great value to the customer. Their dishwashers are loaded with features and are reasonably priced. Be sure to include these brands when choosing a new dishwasher and consider the value of both. You might discover some unique features in either brand that you will like. Let's dig in to the details to see how the models compare. Many buyers of dishwashers have been looking for information about how Frigidaire's dishwashers compare with Bosch models. Bosch is widely known to consumers as an excellent brand and is very strong in the dishwasher category. 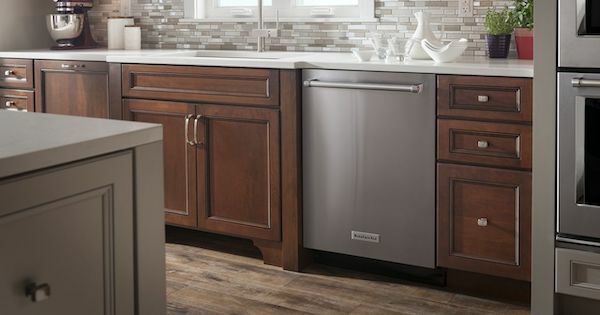 They were one of the first to fill the need for quieter dishwashers and even their most inexpensive models come with stainless steel tubs. Frigidaire dishwashers are an exceptional value and offer comparable features to the Bosch brand. Their Frigidaire Professional line of dishwashers is made in one of the Electrolux factories in Italy and they have added many new quality features to the product line. Their new Satellite spray arms and OrbitClean wash system offer great washing performance. The new models are quieter, offer excellent cleaning performance, and dry the dishes better than many other brands. In this article we've decided to compare two popular models at similar price points to see how the brands stack up. 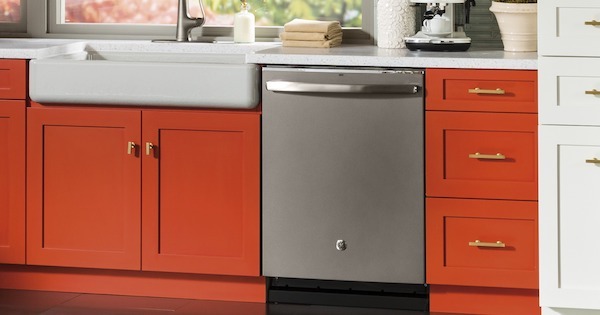 If you are in the process of researching a new dishwasher, you'll want to read this article! If you’ve been around the block a few times, you might remember the loneliest man in town, better known as the Maytag Repair Man. For many years starting in 1967, Maytag ran advertisements with this bored and melancholy-looking fellow who had nothing to do because Maytag appliances never broke down. The brand became synonymous with dependability and many consumers have stood by them for all their appliance needs. While most appliances won’t last as long as they did 50 years ago, Maytag is still committed to delivering reliable products that will stand the test of time. In fact, they put a 10 year limited parts warranty on certain major components of all of their products to demonstrate that commitment. While Maytag offers a full line of appliances, this article will be dedicated to Maytag dishwasher reviews. We will look at three different models offered by the brand, one front control and two top control. 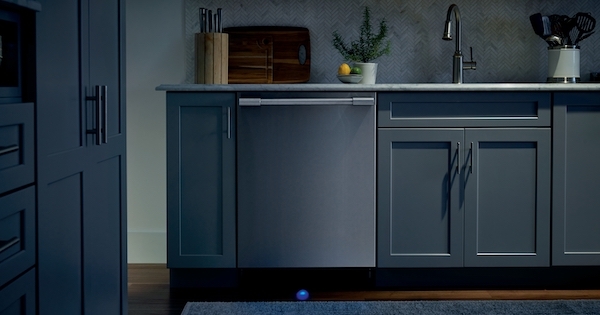 These dishwashers are all designed and assembled in the USA and Maytag boasts that their models have “the most powerful motor on the market” that can even take care of hard-to-clean food stains like dried egg yolk. All Maytag dishwashers come with a 10-year limited parts warranty on the racks, chopper blade, and stainless steel tub - an industry-leading warranty for sure! 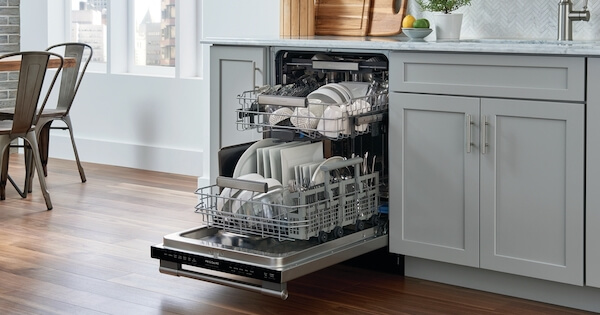 Some of Maytag's dishwashers also have an innovative upper rack design that is tiered like stadium seating to make it easier to fit large items like mixing bowls as well as smaller ones like coffee mugs. 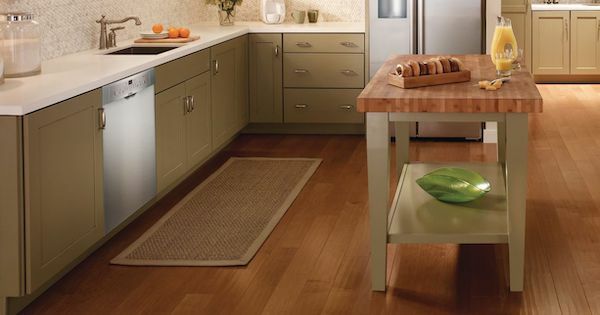 Let’s dive in, starting with Maytag’s most economical model. In 1916, the first self-contained electric refrigerator was invented and introduced to the public. The company that created this groundbreaking innovation was purchased by General Motors in 1918 and has since grown to be one of the most trusted and well-known major appliance producers in the USA and around the world. The name of this company? Frigidaire. Appliances have come a long way since then and somewhere between the end of World War II and Elvis taking the world by storm, the dishwasher became a ubiquitous staple item of American kitchens. 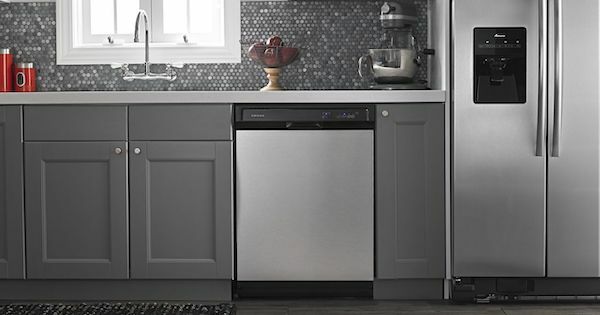 Frigidaire eventually jumped on board and added the dishwasher to their lineup of quality products, and now, after a century in the appliance business, they have a full line of dishwashers, each with unique features and capabilities suited to different consumer needs. In this article, we’re going to examine four Frigidaire dishwasher models, ranging from a basic economical model to the higher end professional model. If you are researching new dishwashers, don't overlook Frigidaire.